The N-Visible Atelier arts collective cordially invites you to the Opening Reception for our exhibition called Homage at Warehouse 416 in Oakland. The exhibiting artists are Gene Dominique, Raymond L. Haywood, Damon Powell, Karen Smith, Mark Sublett, Valerie Brown-Troutt, and TheArthur Wright. *Warehouse 416 is a satellite location and open studio space for the 2019 The Art of Living Black exhibition at the Richmond Art Center. The Art of Living Black (TAOLB) is a Bay Area Black Artists Exhibition and Self-Guided Art Tour featuring emerging, mid-career and established artists of African American descent from the San Francisco Bay Area. Co-founded by the late Jan Hart-Schuyers and the late Rae Louise Hayward, The Art of Living Black is the longest running event of its kind in the Bay Area to feature artists of African descent. The 23rd Art of Living Black presents an exhibition of over 100 works at the Richmond Art Center, as well as Open Studios and Satellite Exhibitions at locations across the Bay Area. The 23rd Annual Art of Living Black is organized by TAOLB Steering Committee in partnership with the Richmond Art Center. The Art Of Living Black Steering Committee is a dedicated group of established Bay Area artists touched by the vision of Jan Hart-Shuyers and Rae Louise Hayward. The group’s mission is to preserve and expand the vision of their beloved founders by supporting emerging, mid-career and established artists of African descent. AfroComicCon is the premiere comic con event for people of color and the African diaspora in the Bay Area. BLAM is Black, Latino, Asian, Manifested. AFCC´s three day event is an innovative exciting fresh new type of comic convention that combines, art, tech, workshops, gaming, cosplay, fashion, writing, creativity pitches for funding, webtv, film, VR, and more, featuring industry professionals and aspiring new artists and creators. We provide artists, and dreamers who are looking for the next possible break, the chance to connect, learn and grow. Introducing FLASH: Fit Like a Super Hero! We bring superhero teachers of African Diaspora dance forms and martial arts plus fitness with a superhero theme to the community! Through culturally rich art/movement forms we will inspire the people to empower themselves through healthier lifestyles; eating smarter and moving more! We bring a wide variety of offerings under one roof so that our audience and participants have the chance to explore the possibilities of entrepreneurial creativity and production. We have drawing, creating, movenment, gaming and writing workshops to name a few! We will have a fashion show, costume contest, musical performances, a POC Nerd Comedy Show, a mini- film festival and a Free Youth Community Day just for the kids! They will get free food, special workshops, and performances made just for youngsters, and some surprise giveaways! Oakland CA is the place to be on the first Saturday of October. The Black Cowboy parade starts at 10:00 am Theres going to be Cowboys and beautiful horses from all over California, Floats, Marching bands, Drill teams, Pony rides.and los of family fun, Then stick around for the Oakland Black Cowboy Festival in the park. Bring your folding chairs, Pack a lunch in your picnic basket or grab something to eat from one of the many food vendors. The 5th Oakland Black eyed pea festival is a Metaphor for what is resilient, creative and collaborative about African American culture. Omnira Institutes mission is to highlight and preserve the culture and spiritual traditions of Africa and African American and demonstrate how those traditions are connected to Africa and the African disporia. African Arts Academy is a 501C3 not for profit international, art education program, based in San Francisco, CA USA. It' s main focus is to combine ancient wisdom, traditional art with the new technology, and implement a professional grade, state of the arts institution that, specializes in the teaching of all art forms and crafts originating in Africa and the African diaspora. JOIN US at 10am for Opening Prayer and Libations Ceremony, Intro to Mu-i Taiji, Yoga and FREE LUNCH sponsored by Afrocentric Oakland and Miss Ollies. SHOP (the only thing that's not free) thought the great vendors with beautiful merchandise for you or as a gift. TheArthur and Son will be showing Artwork at the 17th Annual Music on the Main. PLUS: Food Booths & Trucks * Vendors * Main Street Margaritas & East Brother Beer Co. * Dancing * Info Booths * Family Fun Zone * Prizes * Giveaways * and more!!! Marina Way & Macdonald Ave.
TheArthur and i will be displaying Artworks at the 18 Annual Art and Soul Festival. stationery, clocks, henna art, home furnishings and much more! Presented by Richmond Main Street Initiative, since 2001, the Music on the Main concert series has brought thousands of people Downtown to enjoy a night on the town filled with music, food, and family fun. Each concert features a variety of musical performances, arts and crafts activities for children, local entrepreneurs and nonprofit organizations, and food. Music on the Main is a critical tool that Richmond Main Street uses to engage the community. Come see 65 Alameda and Bay Area Artists at the free outdoor event. Mingle with local and emerging artists creating unique artworks during the fair. See live painting, sculpting and illustration, live music, poetry and performance art. Kids Zone( Jumper, Dunk Tank, Games and More!! Local Artists: Malcolm X students, and community volunteers have been hard at work updating the 20 "HereStories" murals that have adorred the schoolyard fence since 2007. This weekend is the Grand Opening of Paschal Hunter Gallery. Contemporary Evolution will be the NVisble Atelier's 3rd show. Come witness the evolution of our collective, creative evolution. *Contemporary Evolution is a satellite location of the Art of Living Black (TAOLB) 2018. Please join us for a talk with this year's Spotlight Artists, Kelvin Curry and Damon Powell, as well as other artists participating in this year's The Art of Living Black. Joyce Gordon Gallery presents the 7th Annual Holiday Art Show. This holiday season we are proud to show a collection of unique, astonishing and affordable art by new and returning artists, demonstrating an eclectic style work representing the best of the Bay Area. 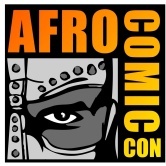 Afro Comic Con is the premiere comic con event for people of color and the African diaspora in the Bay Area. BLAM (Black, Latino, Asian, Manifested) presents Afro Comic Con. This is our first annual comic book, Art, media, science fiction, technology awareness, web TV, film and writing convention. AfroComicCon’s mission is to open doors for everyone, but especially for people of color, in the arts, and media professions that have not been adequately inclusive. We want to encourage the production of images and storytelling that embraces diverse fictional heroes and icons, thus sowing fertile ground for the empowerment of people of color. There will be workshops, live art, and printing stations and panel discussions focusing on literacy, comic book, graphic novel and fine art creation as well as on gateway careers in an industry not well represented by women and people of color. Please come to our fabulous after party for fun and more networking! The Oakland Black-Eyed Pea Festival is a celebration of African and African American culture using a cherished foodway as its theme. The Black-Eyed Pea Festival features traditional musicians, artists and craft vendors, health and community resource information. Children will have an opportunity to make crafts. Black-eyed pea-themed dishes will be sold, and the festival will feature a farmers’ market. Live Music Soul Food Art. Citizens of the African diaspora, it's time to celebrate! This is our 7th annual event and this will be the very best one yet! We've got a full day planned out for you and your entire family. Share this eventbrite link with all your loved ones so our entire Pan-African family can celebrate together. 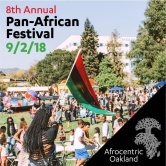 Oakland’s 7th annual Pan-African Festival is a free family event carefully curated to cultivate pride, joy, self-determination and sovereignty for diasporic Africans. Through participation in a full day of holistic health workshops, group games, arts, crafts and entertainment, the day intends to celebrate the rich cultures of Africa and it’s global influences. This is a great day the entire family will enjoy! SF Brothers Present the Summer Celebration, Celebrating Success Center San Francisco in its youth efforts. This event will be exculsive and private with art by TheArthur Wright and Malik Seneferu. The event take place downtown in the spectacular R/S Project Gallery 1050 Larkins St, each ticket comes with libations, food, fun and most important a percentage of the proceeds will benefit the San Francisco success center. San Francisco Success Center established in 1983 by San Francisco Superior Court Judges to provide educational and employment opportunities to youth in SF’s juvenile detention. Since then, Success Center has grown to serve any youth engaged in the justice system or marginalized individuals at high risk for disconnection from society. Hope to see you in attendance and enjoying a night with the SF Brothers. Thearthur Wright an i will be showing at Music on the Main. It will be Live Music, Food, Beer, Vendors, Prizes, Kid Zone, Info Booths and fun for the entire family!!. Music on the Main is our longest running event series. Since 2001, this concert series has brought thousands of people Downtown to enjoy a night on the town filled with music, food, and family fun. Each concert features a variety of musical performances, arts and crafts activities for children, local entrepreneurs and nonprofit organizations, and food. Music on the Main is a critical tool that Richmond Main Street uses to engage the community, provide business opportunities to local entrepreneurs and district merchants, and build a strong arts and entertainment district. TheArthur Wright and I will be showing at Art & Soul. Beer, Wine, Food and much more!!!! TheArthur Wright and I will be showing at the 8th Annual Healthy Village Festival. Harbour Way & Macdonald Ave.
Thearthur Wright and I will be showing at the Summer Art & Maker Fair. Come see over 65 local Alameda and Bay Area artists at this free Outdoor Art Festival. Mingle with local emerging and established artists creating unique artwork during the fair! See live painting, sketching, sculpting and illustration. With everything from comic book art to clothing and jewelry, to metal sculpture, there is something for everyone. Come support the local artists that make the Bay Area such a dynamic and creative place to live. Over 30 live art demos, over 20 artists in Studio 23's "100 UNDER 100" group show. Open Studios, including “The Red Door On Encinal”, "3 DOT” and Studio 23. There will be music and festivities all afternoon.